Nobody want’s to be stuck with a name that is associated with pain. Jabez didn’t either. He did not change his name but went to the creator of destiny with a life changing request. God honored him and changed his future: from pain to prosperity! 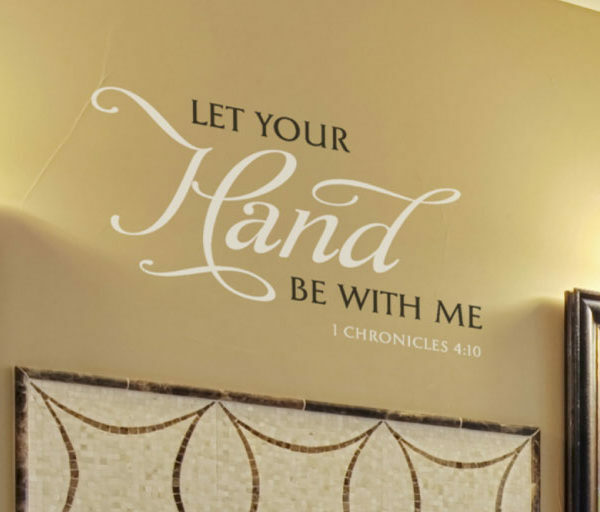 ‘Let Your Hand Be With Me. 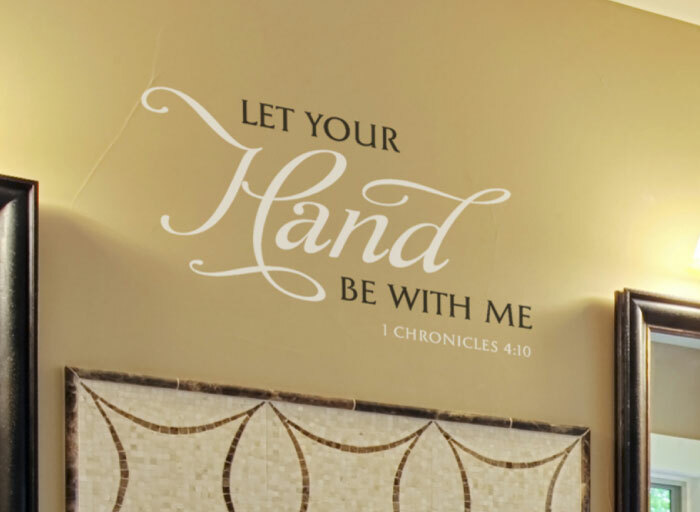 – 1 Chronicles 4:10’ wall letters are a prayer request that look great in this bathroom. They were applied on a contrasting underlying wall that made them visible. They also do tie in well with the vanity, tub and mirrors. These wall words will remind you to ask for God’s guidance, morning and night. Now that is a blessing! 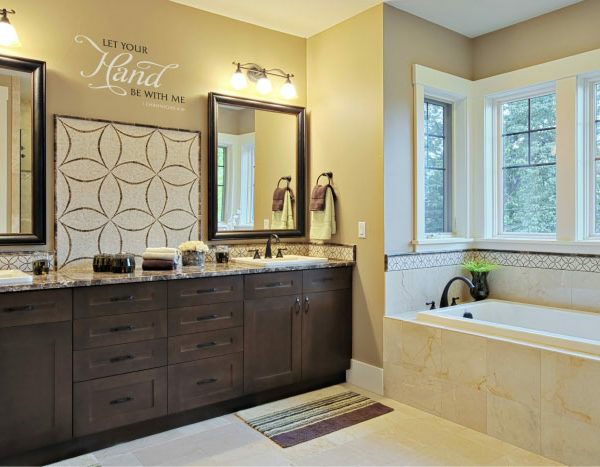 Are you looking for wall decor that is suitable for the bathroom? Try WiseDecor wall quotes. They are affordable. Applying is easy: simply peel the pre-assembled wall letters and paste the sticky side onto the wall. The finished look is amazing: they look like they were painted onto the wall! They will last a long time. This is because they are made from resin and can resist extreme temperatures: hot and cold! 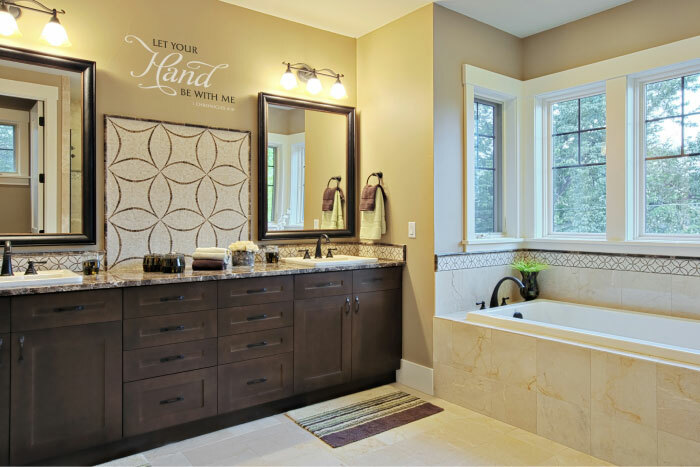 If your bathroom is well lit, opt for our matte wall letters. There will be no glare, and will therefore be easy to see and read. 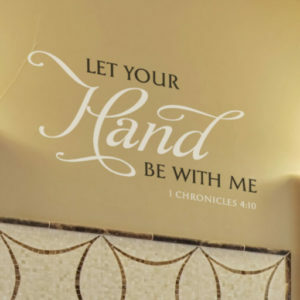 If you are looking for a unique way to encourage friends and family to always ask and to thank God for blessing and ordering their steps, try our scripture wall decals.